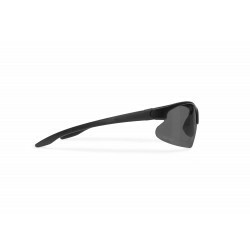 Polarized antireflection lens reduces reflections of horizontal surfaces - 100% UV protection. The Hydrophobic coating works by making a surface of your lens to repel the water molecules remaining on them, which means that the hydrophobic coating weakens the surface bonding among the water drop and surface of the lens. This lets anything based on water ( rain, sweat, etc. ) to stay away from lens surface. 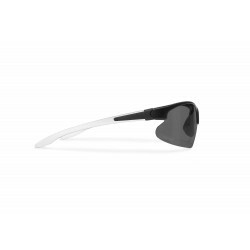 Frame in TPX-lightest polymer, frame density 0.83g. 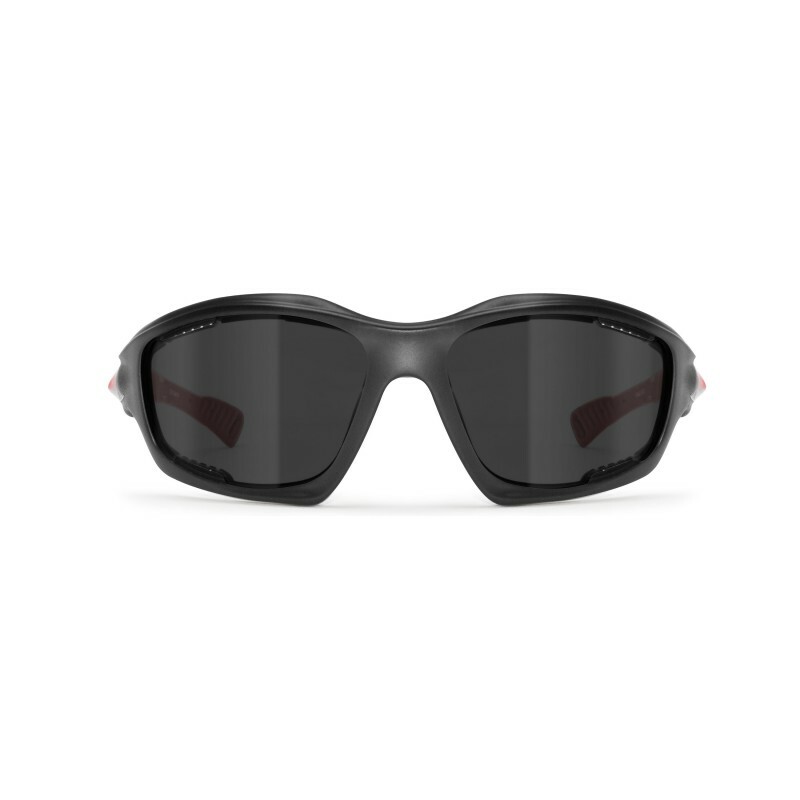 flexible and lightweight - floating ability - Wraparound design: protects the eyes from wind and bad weather, provide enhanced peripheral vision. 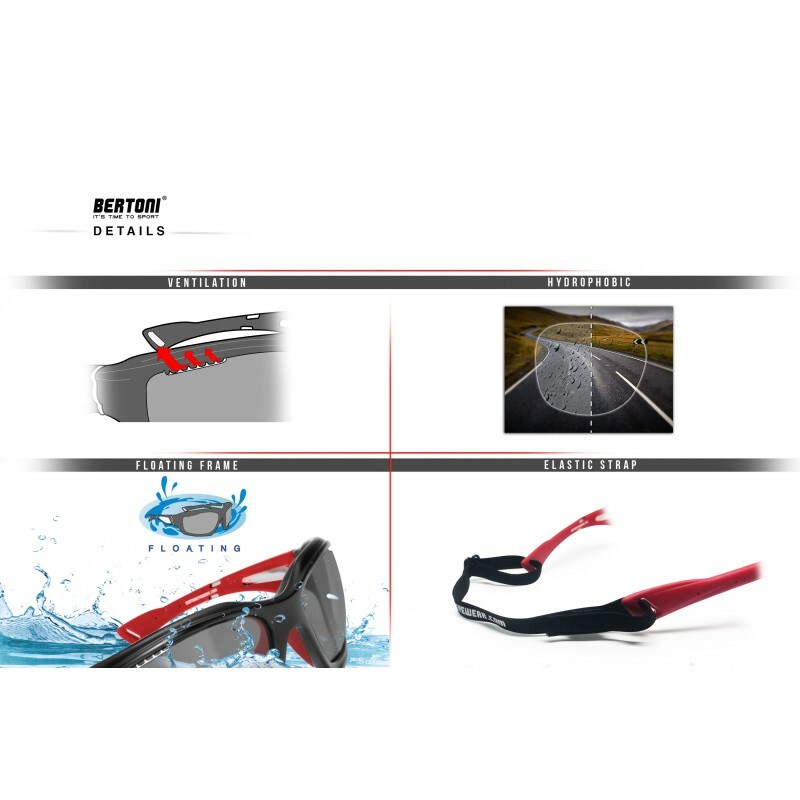 Special cuts on the surface of the lens that allow ventilation and the spillover of water. 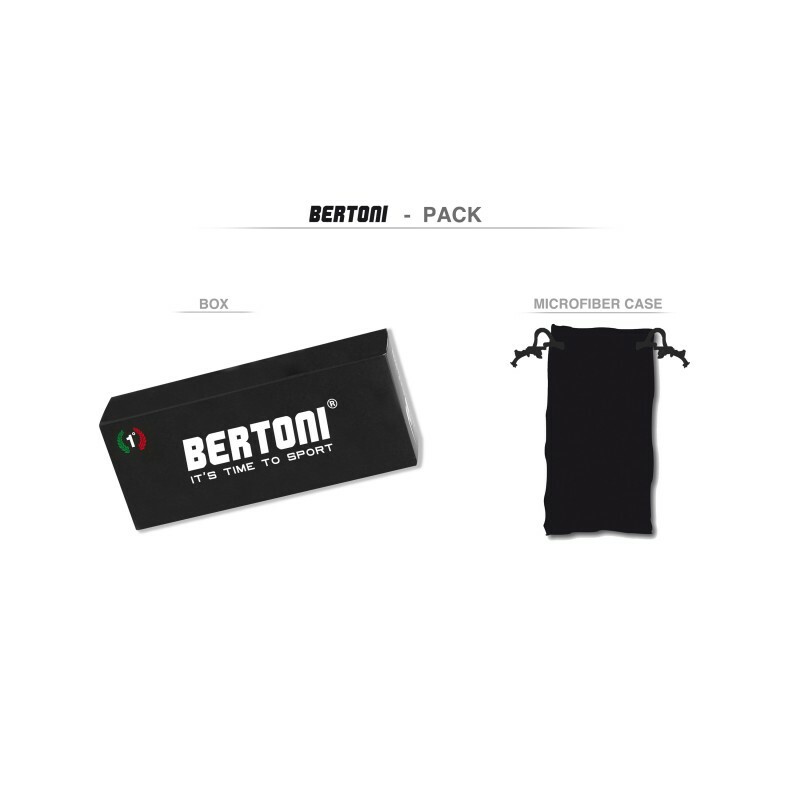 Adjustable and removable elastic strap to have a very skin tight fitting for extreme sports. 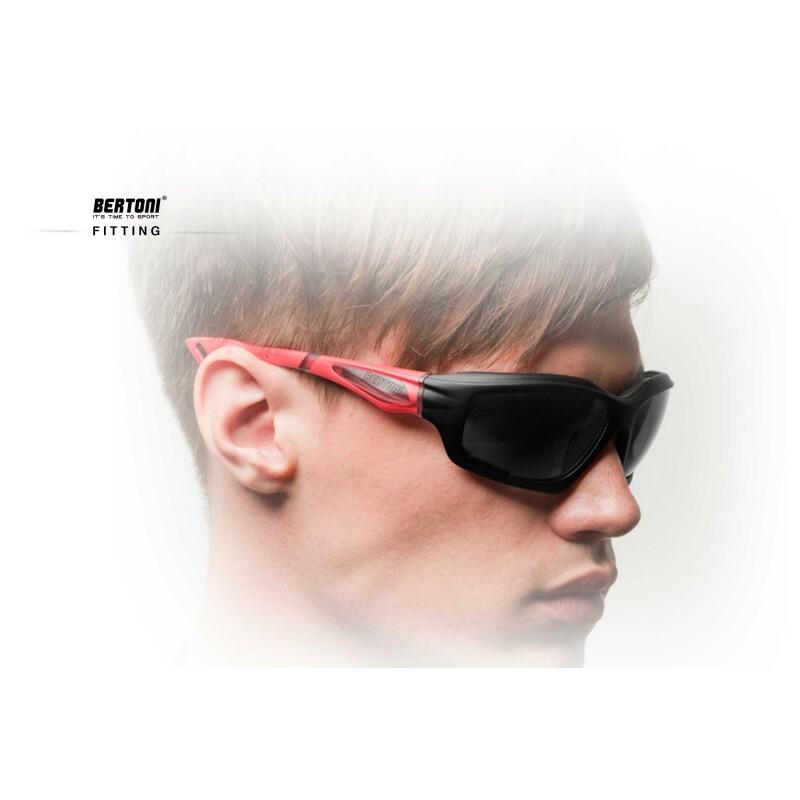 Sports sunglasses with polarized lenses and holes for hyperventilation. 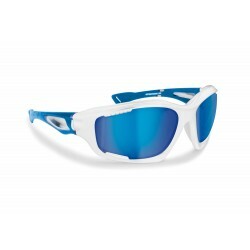 The frame is made by TPX, a floating material, extra strong, durable and light. 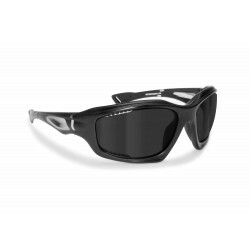 This feature, together with polarized lenses and the comfort make them perfect for water sports and fishing. Many surfaces reflect the rays of the sun like a mirror (glass, water, snow), amplifying the intensity. It must therefore be equipped with good protection for the eyes against the glare. 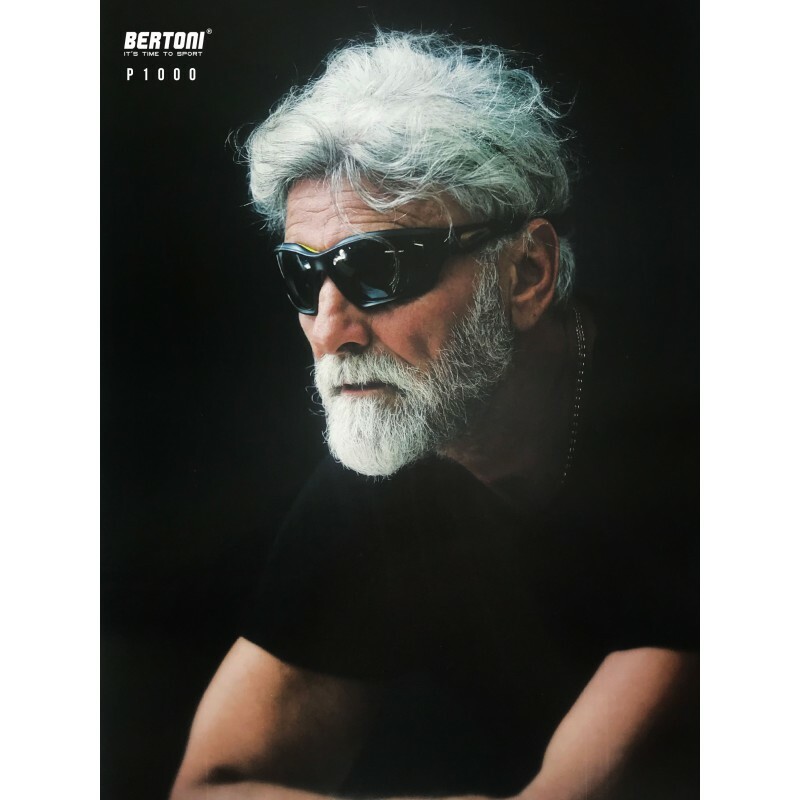 The polarized lens sunglasses of this collection are the perfect solution for this kind of problems, thanks to the special anti-reflective coating.